The annual DCU fashion show took place in the Helix on the Glasnevin campus last Tuesday. 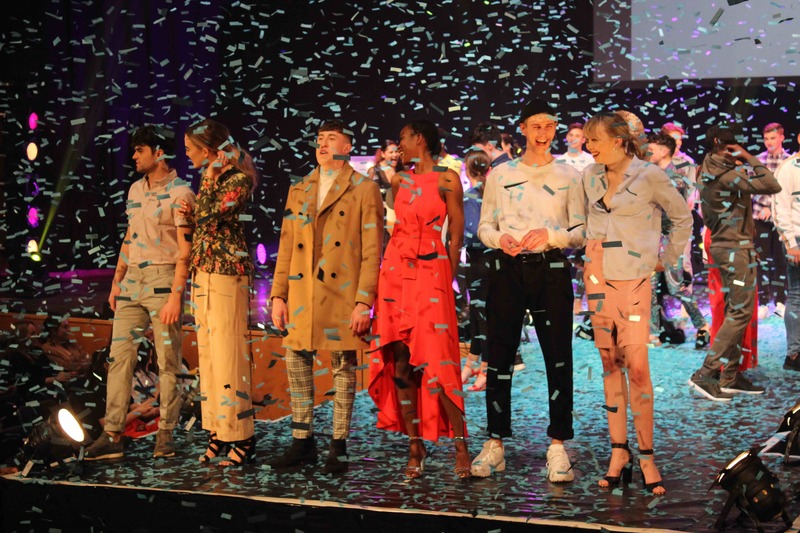 Hosted by Tropical Popical co-founder Andrea Horan and social media influencer James Kavanagh, the show was organised by DCU’s Style society and showcased student modelling, styling, hair and beauty talent. The show also included the final of Project Young Designer – this year won by Sophie Murphy. “I think the show went so well, seeing the amount of people come to support their friends and family was amazing. There was such a good vibe backstage and in the crowd. We’re all really proud of ourselves,” said Soraya James, the Chairperson of DCU’s Style society. This year’s theme was Dystopia Vs Utopia, which saw half of the fashion show dedicated to dystopia with grunge and more street-inspired outfits. The second half, utopia, saw the models hit the catwalk in pastel, brighter colours and airy pieces. The fashion industry sees politics rear its head again and again in runways and DCU’s show was no different. A segment of the show saw a tribute to women of colour. Beyoncé’s ‘Sorry’ and Malcolm X’s ‘Who taught you to hate yourself?’ boomed in Mahony Hall as all sixteen female models took to the stage. Later parts of the show saw a model wearing a t-shirt with the words ‘Not not at all, just not at home,’ a slogan supporting the repealing of the eight amendment this coming May. “Our choreographer Tara Smyth wanted to do a walk that signified more than just fashion and she knew it was a risk, but we felt it was something that could add a broader statement to the show, so we went for it,” said James on the political allusions in the show. “Overall, we wanted to show that civil rights is something that everyone should believe in, regardless of your race and pay tribute to the black woman because they aren’t celebrated enough,” she added. “The fashion show is yet another example of the student life that takes place outside of the lecture hall or the laboratory. It just shows how much more there is to the student experience,” he added.